Fabiano Vieira rode Stunt Man Ray for the highest score in three days of competition at Ranchman's. PBR Canada photo by Covy Moore. CALGARY, Alberta – Experience rode supreme Thursday night, as 11-year PBR (Professional Bull Riders) veteran Fabiano Vieira (Pérola, Paraná, Brazil) delivered a perfect performance at Ranchman’s to win the buckle at the Canadian Touring Pro Division’s (TPD) Bullbustin' in Support of the Sheldon Kennedy Child Advocacy Centre. The 34-year-old began his night with a fifth place effort in Round 1, riding On The Fringe (Dynamite Buckers) for 80.5 points. In the short go, Vieira delivered another qualified, scoring 88.5 points aboard Stunt Man Ray (Girletz Rodeo Stock) to win both the round and event. Currently ranked No.18 in the world, Vieira earned $4,536.85 and 60 world points. He now trails fellow countryman and world No.1 Eduardo Aparecido (Gouvelândia, Goiás, Brazil) by fewer than 2,000 points. Second and third at the event were also claimed by riders from the elite Built Ford Tough Series, ranked within the Top 35 in the world standings, who logged 2-for-2 outings. Joao Ricardo Vieira (Itatinga, Sao Paulo, Brazil) finished second after riding American Sniper (Big Chief/Armstrong) in Round 1 for 79.5 points, followed by an 84-point trip aboard Sweet Spot (Outlaw Buckers Rodeo Corp) in the championship round. The 32-year-old, currently ranked No.8 in the world, earned $3,272.51 and 30 points towards the world standings for the finish. He now trails No.1 Aparecido by 1,445 points. 2004 World Champion and current world No.25 Mike Lee (Decatur, Texas) finished third, backed by a Round 1 winning, 84.5-point ride aboard Hard Rock (Big Chief/Armstrong). In the championship round, Lee became the third rider of the event to deliver a perfect performance, riding Warlock (Girletz Rodeo Stock) for 78 points. Lee earned $2,677.49 and 20 world points. Fraser Babbington (Gisborne, New Zealand) finished fourth. In Round 1 Babbington was second after riding Grey Eyes (Dynamite Buckers) for 83.5 points. He left the event with $1,710.63 and 15 world points. Rounding out the Top 5 was Brant Atwood (Pampa, Texas), whose night was highlighted by his third place, 82.5-point ride aboard Parachute Pants (Vold Rodeo/Prescott) in Round 1. Atwood earned $1,071.00 and 10 world points for the performance. Cole Young (Fairview, Alberta) was the event’s highest finishing Canadian. Young rode Just Sayin (Vold Rodeo/Prescott) for 80 points in Round 1 to finish seventh overall at the event and earn $312.38. 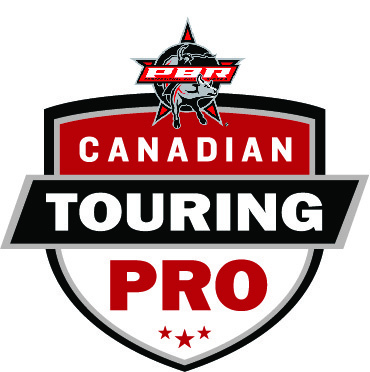 After a three-day stretch in Calgary, the TPD now heads to Edgerton, Alberta for the Edgerton PBR Bullarama on Friday, July 7. Action at the Edgerton Sports Grounds begins at 7:00pm MST. Official results from the Bullbustin' in Support of the Sheldon Kennedy Child Advocacy Centre on July 6, 2017. Round 1: 1. Mike Lee on Big Chief/Armstrong’s Hard Rock, 84.5 points, $892.48; 2. Fraser Babbington, 83.5 points, $669.38; 3. Brant Atwood, 82.5 points, $446.25; 4. Edgar Durazo, 82 points, $223.14; 5. Fabiano Vieira, 80.5 points; 6. Cole Young, 80 points; 7. Joao Ricardo Vieira, 79.5 points; 8. Matt Triplett, 77 points. Championship Round: 1. Fabiano Vieira on Girletz Rodeo Stock’s Stunt Man Ray, 88.5 points, $892.49; 2. Joao Ricardo Vieira, 84 points, $669.38; 3. Thor Hoefer II, 79.5 points, $446.25; 4. Mike Lee, 78 points, $223.13. Overall: 1. Fabiano Vieira - Pérola, Paraná, Brazil – 169 points, $4,536.85, 60 world points; 2. Joao Ricardo Vieira - Itatinga, Sao Paulo, Brazil – 163.5 points, $3,272.51, 30 world points; 3. Mike Lee - Decatur, Texas – 162.5 points, $2,677.49, 20 world points; 4. Fraser Babbington - Gisborne, NZ, New Zealand – 83.5 points, $1,710.63, 15 world points; 5. Brant Atwood - Pampa, Texas – 82.5 points, $1,071.00, 10 world points; 6. Edgar Durazo - Moctezuma, Sonora, Mexico – 82 points, $639.64, 5 world points; 7. Cole Young - Fairview, Alberta – 80 points, $312.38; 8. Thor Hoefer II - Priest River, Idaho – 79.5 points, $654.50 CAD; 9. Matt Triplett - Columbia Falls, Montana – 77 points.